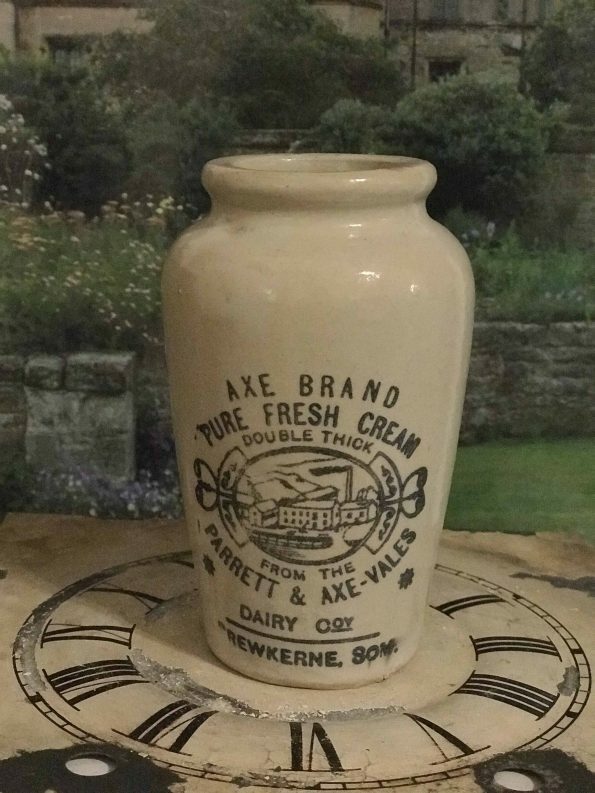 This is a listing for one (1)Rare Antique English Advertising Pot – Axe Brand – Pure Fresh Cream – Double Thick – From the Parrett & Axe-Vales Dairy Co. Crewkerne, Som. c. 1910. Excellent Condition, perfect addition to your Antique Advertising collection. Don’t miss out. This is a rare one! This pot was curated during my travels to English Antique Markets while visiting my daughter and her family in London. The images attached are for the pot you will receive. 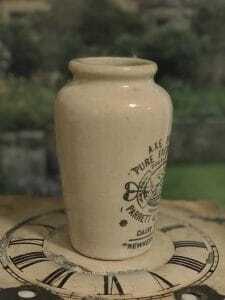 Most pots have some level of crazing , may have spots of discoloration, light hairline cracks and minor chips and fleabites that only add to its character and do not detract from its display value. 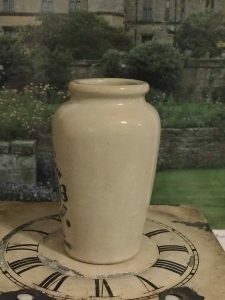 These are expected due to age, use and let’s not forget they were often buried for decades before being dug up and rescued.